groups, with fully automatic zooming system. posure indicator, visible above the viewfinder field. scale from 1.5 meters (4.9 feet) to infinity. 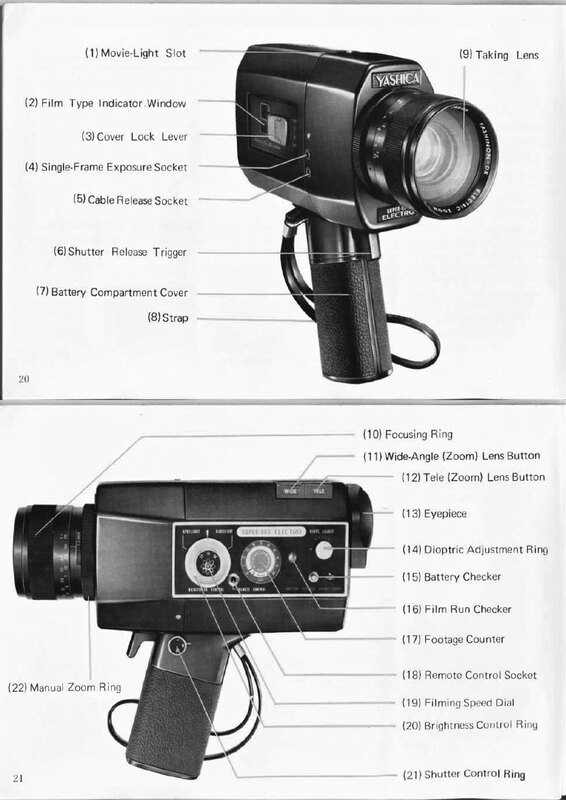 the film drive and zooming systems. movie light slot; fixed hand grip.